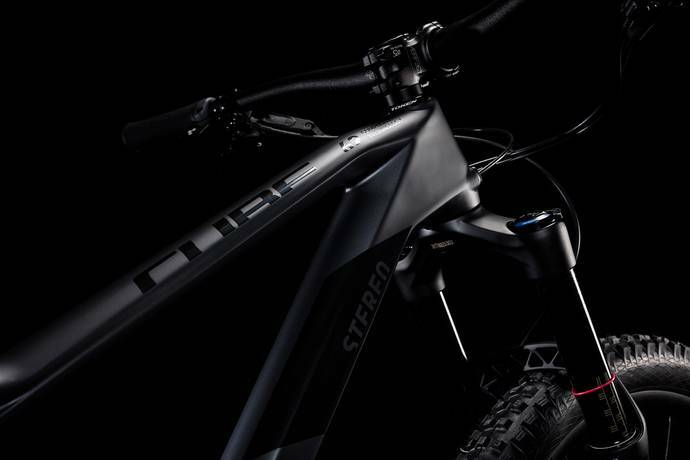 A lot has changed since we built our first Stereo full suspension bike. 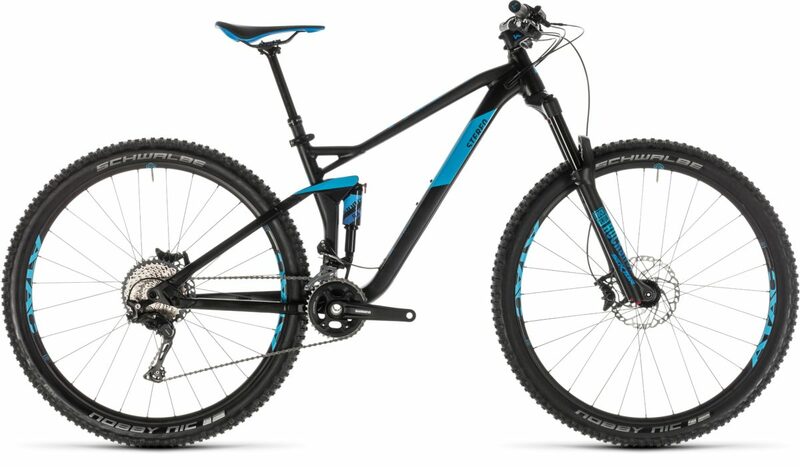 Brand new for 2019, the Stereo 150 C:62 SL 29 condenses everything we know about building light, fast and versatile bikes into a sleek, elegant and hard-hitting all-rounder for the enduro enthusiast. With a svelte new chassis crafted from our proprietary C:62 carbon, we've created the ideal companion for long days out in the mountains. 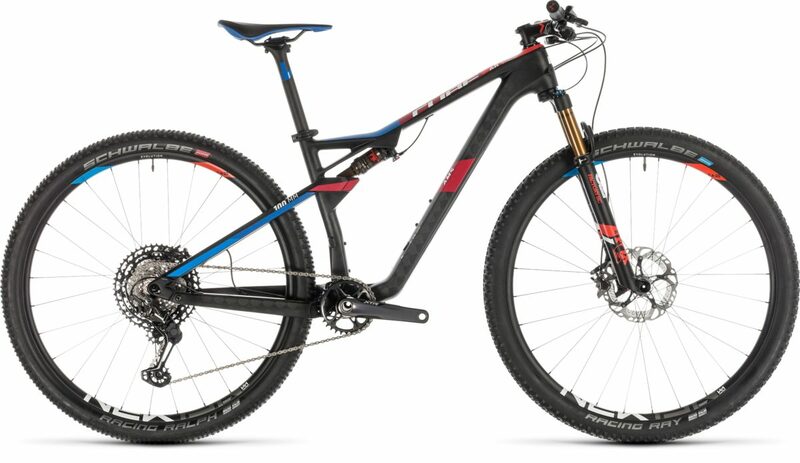 The 160mm RockShox Lyrik fork and Super Deluxe RC3 – with trunnion mount – work together seamlessly to keep the light, stiff and strong Newmen Evolution wheelset firmly glued to the trail. Delivering power to the rear wheel is SRAM's GX Eagle 12 speed groupset with an X1 carbon crank, but there's cable routing for a 2x setup too. 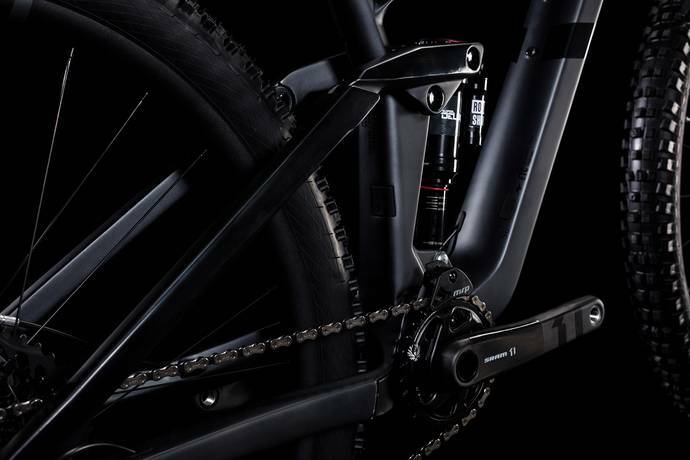 SRAM Code R brakes help keep your speed in check, the CUBE dropper post opens up your line choices, and we even specced an enduro-specific RaceFace Turbine R handlebar. Drop into the most technical of descents, rail flowy singletrack and pedal back to the top to rinse and repeat – it's all there for the taking. How do you combine mountain goat agility with mountain lion speed? 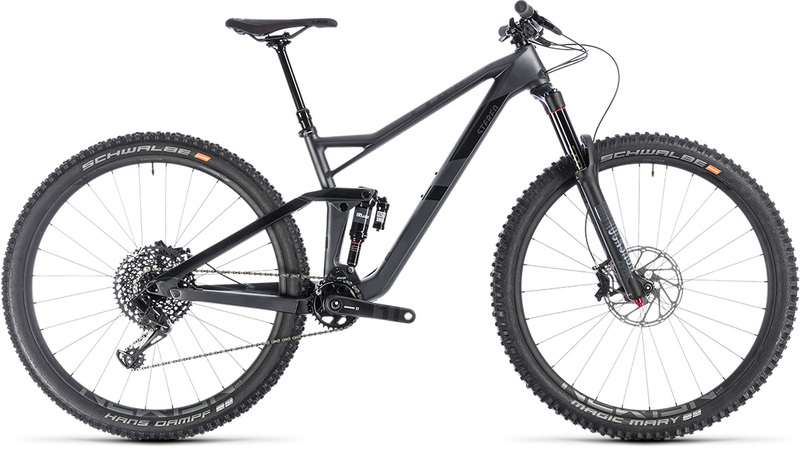 A good start is to ask CUBE engineers to do the seemingly impossible and build a bike that climbs almost as well as it descends. The result is the Stereo 150 29's elegantly sculpted C:62 carbon frame. The clean lines, rocker cover and trunnion mount shock are designed to combine efficiency, stability and intuitive handling. 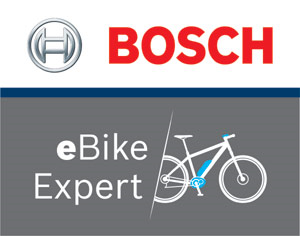 Boost 148 rear axle spacing works together with the tapered head tube and oversized down tube to deliver unparalleled steering precision and pedal input. ISGC05 tabs for a chainguide are standard, while short chainstays ensure agile handling and, in combination with the 75 degree seat tube, provide efficient climbing. The low standover and head tube specifically designed for a 160mm fork add the confidence, control and precision you need for sure-footed descending. Jack of all trades? We prefer to think it's master of them all.